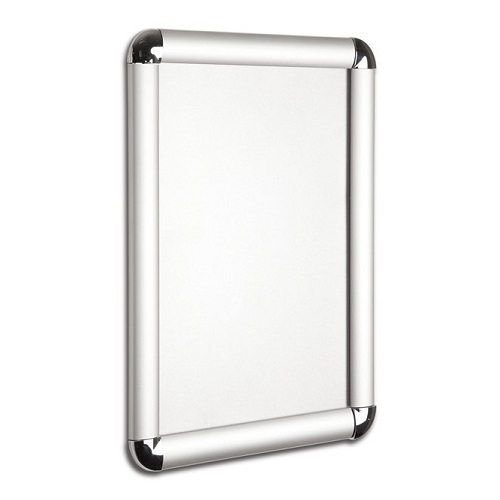 Stylish, easy to use, single-sided Poster Snap Frames. 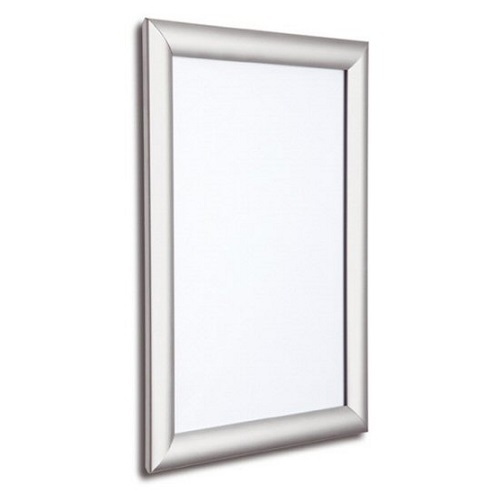 Satin silver aluminium frames with sturdy background and matt grey moulded corners. Simply lift up the four edges, remove the protection sheet and insert your poster. 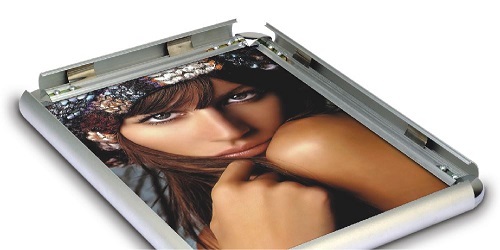 The glare free PVC cover sheet protects the poster from dust and dirt. Installation fixings supplied with every frame. Available in A4 size through to A0 size. Instantly change documents and/or signage in seconds with easy to use snap frames. 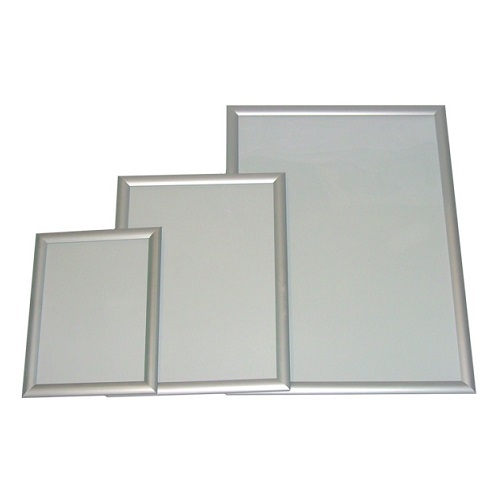 Silver aluminium frames with plastic backing board with 25 mm mitred corners. Available in A5 size through to A1 size.